Just as each person is unique, so are the businesses they create and operate. Prior to the formation of a new legal business entity, we believe it is important to analyze the benefits and drawbacks of each entity structure, including the taxation, liability, and operating characteristics of sole proprietorships, general partnerships, limited partnerships, limited liability companies, and corporations (subchapter C and S corps). Whether newly formed or established for many years, every business has a need for on-going legal services. Contracts, leases, employment agreements, and personnel policies, are continuing issues for all businesses. Corporations should prepare minutes of the annual meeting of the shareholders and directors. 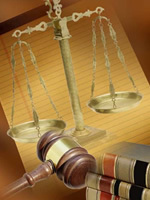 This law firm can provide these important services to your business.